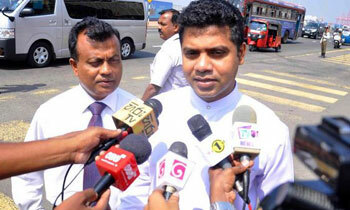 The Janatha Vimukthi Peramuna (JVP) said today the Presidential Additional Secretary B.K.S. Ravindra had assured them that a copy of the PCoI report would be given to them as soon as possible. JVP MP Nalinda Jayatissa said as such the additional secretary who functions as information officer was duty bound to provide the report within 14 days under the Right to Information Act (RTI). He told the media after submitting the application to the presidential secretariat to obtain copies of the PCoI and PRECIFAC reports that the JVP would study the reports once they received them and decide on what action should be taken on these reports.